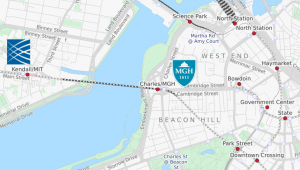 The Lage Lab is situated at Massachusetts General Hospital, Harvard Medical School, and the Broad Institute of MIT and Harvard. We develop and apply computational technologies to functionally interpret massive genomic datasets using biological networks. Through our approaches we aim to understand and model how biological networks are perturbed by genetics and can be targeted by therapeutics in complex diseases such as psychiatric disorders, cancers, and metabolic diseases. We make all tools available to the scientific community and collaborate widely with disease experts at the genetic, experimental and clinical level. It is our aim that this research will contribute to improve the lives of patients with many different types of diseases.